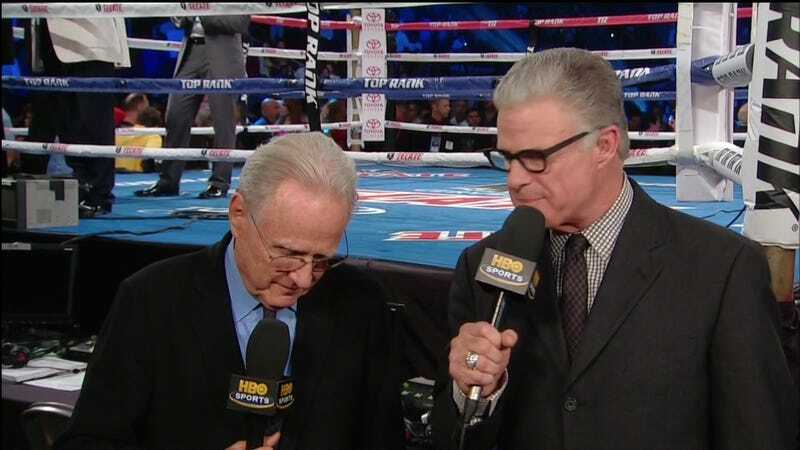 It's recently become an odd topic of speculation that HBO boxing commentator and occasional bad decision maker Jim Lampley wears glasses on-air that don't have any lenses in them. This speculation, indeed, has come up inside the Deadspin offices. After all, they're so damn clear! There's no glare! We want to believe Jim Lampley has some bizarre spectacles-related vanity! Alas, his glasses are far from ersatz. During this weekend's touching goodbye from analyst Larry Merchant, Lamps looked away from the camera—and let us see through lenses that very clearly bend light.